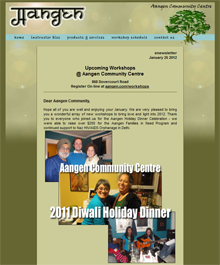 e-news 13.1223 » Upcoming Workshops @ Aangen Community Centre. e-news 13.1214 » Upcoming Workshops @ Aangen Community Centre. e-news 13.1129 » Unison Benevolent Fund @ The Jazz Bistro, Holiday Swing Time featuring Alex Pangman and her Alley Cats @ Palais Royale, Gary Morgan's PanAmericana @ Lula Lounge, New Year's Eve Comedy Extravaganza @ Massey Hall and Bravissimo! Opera's Greatest Hits @ Roy Thomson Hall. e-newsletter » FYFB Open House & Volunteer Recognition, In Memory of Trudy Couture, Second Annual Lucky Ball tix and sponsorship details, A Holiday message from FYFB Board President Chris Murphy. e-news 13.1126 » Upcoming Workshops @ Aangen Community Centre. 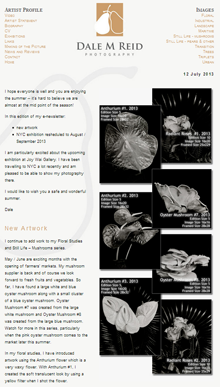 e-newsletter » New Artwork and Upcoming Exhibitions. e-news 13.1106 » Robbie Rox @ Lula Lounge, Electro Swing Party @ Revival Bar, Ron Davis: Symphronica @ Lula Lounge, The JAZZ.FM91 Sound Of Jazz Concert Series @ The Old Mill Inn, Kurt Elling in Concert @ Sean O'Sullivan Theatre, and Holiday Swing Time featuring Alex Pangman and her Alley Cats @ Palais Royale. e-news 13.1105 » Upcoming Workshops @ Aangen Community Centre. BAM enewsletter 1 November 2013 » News, contests and upcoming events from leading USA-based motorcycle injury accident law firm for BAM members (FREE Breakdown and Legal Assistance for Motorcyclists). e-newsletter » Six nominations received for the 8th annual Black and White Spider Awards. e-news 13.1022 » Upcoming Workshops @ Aangen Community Centre. e-news 13.1002 » McMichael Signature Performance Series, The JAZZ.FM91 Sound Of Jazz Concert Series @ The Old Mill Inn, The Woodshed Orchestra CD Release Party @ Hugh's Room, Toronto Zombie Walk 2013, and October events @ Lula Lounge. e-news 13.1003 » Upcoming Workshops @ Aangen Community Centre. BAM enewsletter 17 September 2013 » News, contests and upcoming events from leading USA-based motorcycle injury accident law firm for BAM members (FREE Breakdown and Legal Assistance for Motorcyclists). Client Alert 10 September 2013 » Ad-hoc tribunal orders Libya to pay US$936.94 million to a Kuwaiti investor for an undeveloped resort project. e-news 13.0905 » Upcoming Workshops @ Aangen Community Centre. 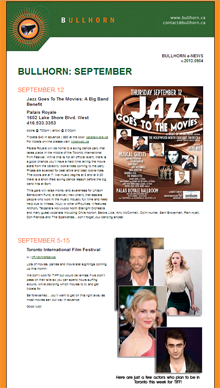 e-news 13.0904 » Jazz Goes To The Movies: A Big Band Benefit!, TIFF: Toronto International Film Festival, The Brantford Jazz Festival, Havana D'Primera @ Lula Lounge, and the JAZZ.FM91 Sound Of Jazz Concert Series. e-newsletter » LIFE - First Solo New York Exhibition at Joyce Wai Gallery. e-news 13.0802 » The Electric-Eclectics Festival, The JAZZ.FM91 World Music Series, The Markham Jazz Festival, Anything Goes @ Princess of Wales Theatre, and Jazz Goes To The Movies: A Swing Dance Party!. Summer enewsletter 13.0729 » Majority of ICSID Tribunal finds jurisdiction over multi-party claim against Argentina, Partial Award issued in the Indus Waters Kishenganga Arbitration (Pakistan v. India), Settlement Agreement Reached in NAFTA dispute with the Government of Canada, The Sub-Regional Fisheries Commission requests ITLOS to render an Advisory Opinion, News In Brief and Firm News. e-newsletter » New workds by Dale M. Reid Photography and upcoming Joyce Wai Gallery NYC exhibtion. Client Alert 10 July 2013 » Hong Kong International Arbitration Centre publishes revised arbitration rules. e-news 13.0702 » Beaches International Jazz Festival, The Electric-Eclectics Festival, The JAZZ.FM91 World Music Series and Jazz Goes To The Movies: A Swing Dance Party!. 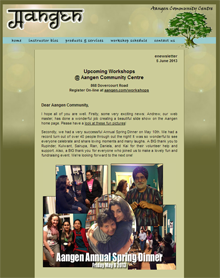 e-news 13.0605 » Upcoming Workshops @ Aangen Community Centre. e-news 13.0603 » Maurizio Guarini "Creatures From A Drawer" CD Launch @ Lula Lounge, The 7th Annual Thrill of Ascot, Cole Porter's Birthday Celebration @ The Crest Theatre, Golf 4 Good @ Braeben Golf Club and the The TD Toronto Jazz Festival. e-newsletter » HOPE springs eternal, to smash the volleyball! FYFB benefits from the luck of the Irish, Law firms compete for commuters' cash, Remembering John Roussos and Comrags to riches. Client Alert 15 May 2013 » Volterra Fietta is pleased to announce that Graham Coop has joined the firm as a partner. e-news 13.0507 » Upcoming Workshops @ Aangen Community Centre. e-news 13.0506 » Gia The Unpredictable @ Hugh's Room, Lulaworld 2013 @ Lula Lounge, Crescendo: Regent Park School of Music, Michael Kaeshammer @ Massey Hall, and Jane Harbury’s DISCOVERIES. 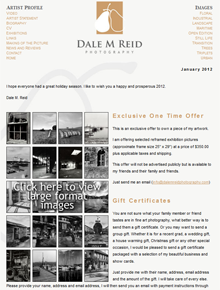 e-newsletter » Dale M. Reid Photography at Contact Toronto 2013.
e-news 13.0423 » Upcoming Workshops @ Aangen Community Centre. 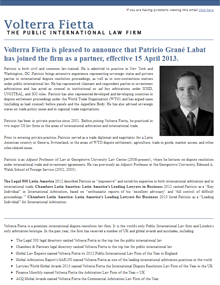 Client Alert 15 April 2013 » Volterra Fietta is pleased to announce that Patricio Grané Labat has joined the firm as a partner, effective 15 April 2013.
e-newsletter » Dale M. Reid Photography at Affordable Art Fair New York. e-news 13.0329 » MY FAVOURITE FOLK – A Variety Show!, Jaymz Bee Live To Air On JAZZ.FM91, Exclusive Wine Cellar Dinner Party @ Barberians Steakhouse, Bonzai Suzuki & Gia The Unpredictable, The Royal Jelly Orchestra @ Lambton Golf & Country Club, Jaymz Bee's Swing Dance Party @ Palais Royale, Tony Quarrington performs his Group Of Seven Suite @ McMichael Gallery, and The JAZZ.FM91 Spring Fund Drive. e-news 13.0318 » Upcoming Workshops @ Aangen Community Centre. The London International Boundary Conference 2013 » Volterra Fietta is co-organising The London International Boundary Conference 2013, alongside the UK Hydrographic Office and the Department of Geography, King's College London. 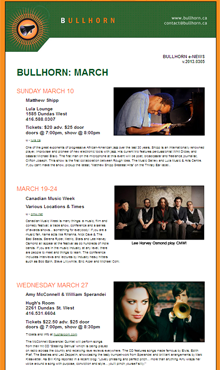 e-news 13.0305 » Matthew Shipp @ Lula Lounge, Canadian Music Week, Amy McConnell & William Sperandei @ Hugh's Room, Gary Topp presents: Lily Frost & Band @ The Painted Lady, and Jaymz Bee's 50th Birthday Week!. 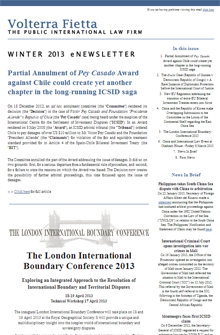 Winter enewsletter 13.0227 » Partial Annulment of Pey Casado Award against Chile could create yet another chapter in the long-running ICSID saga, The Diallo Case (Republic of Guinea v. Democratic Republic of Congo) – A Rare Instance of Diplomatic Protection before the International Court of Justice, New EU Regulation addressing the transition of extra-EU Bilateral Investment Treaties enters into force, China and the Republic of Korea make Overlapping Submissions to the Committee on the Limits of the Continental Shelf regarding the East China Sea, The London International Boundary Conference 2013, China and International Law Event at Chatham House - Friday 8 March 2013, News In Brief and Firm News. 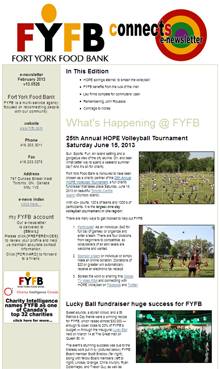 e-newsletter » The Lucky Ball - Benefitting The Fort York Food Bank. 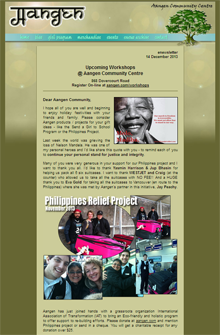 e-news 13.0225 » Upcoming Workshops @ Aangen Community Centre. e-news 13.0208 » Swing Shift Big Band @ Palais Royale, Tom Scott and The JAZZ.FM91 Youth Big Band, Hugh's Room - Various Dates, and Jaymz Bee's 50th Birthday Week!. e-news 13.0205 » Upcoming Workshops @ Aangen Community Centre. e-news 13.0118 » Upcoming Workshops @ Aangen Community Centre.